The Violet Ray Tuner is our more economical stress reduction tool for your radiant holistic health. It has now been revealed that stress is the primary mechanism that opens your body up to the effects of and changing of its functions by exposure to electromagnetic fields. Bruce Lipton PhD – The New Biology. Where Mind and Matter meet. Pulsed Electro-Magnetic Field Treatment device. 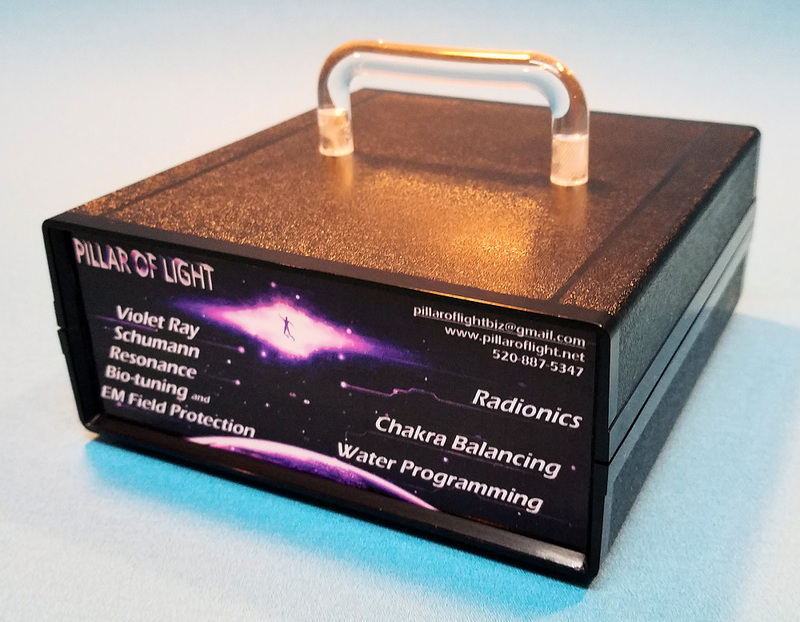 The Violet Ray Tuner produces the 2 primary chakra balancing carrier waves from which you can still perform a rudimentary yet whole body biofield tuning and many other supportive bio-field treatments. A front panel switch selects the frequency. Double Foldback Violet Ray – deepens the Human Collective and Cosmic Consciousness. Only available when using the Conductive Amethyst Crystal Wand attachment. The VR Tuner uses some of the same technology as the Violet Ray Crystal Resonator (VRCR) – minus the rarified radionics section – that is the magnetic 4 Crystal Array Transducer, the Triad Information Field Antenna and the Scalar Antenna. All biological systems evolved within Earth’s natural Electromagnetic Field called the “Schumann Pulse.” The dominant frequency of this set is 7.83 cycles per second or Hertz and its wavelength is the circumference of the Earth. Our bio-rhythms are linked to this ELF(Extremely Low Frequency) pulse and it is stated that 30% of the cells in our Pineal Gland are attuned to it as well. Thus, astronauts will become ill without it as this pulse is lacking in space and so Schumann Pulse Generators are installed in their craft. This Schumann Pulse is very important to our biology and yet it is millions of times weaker than the man made Electromagnetic Pollution signals of our modern era. Thus, our biology is easily pulled out of balance; inviting stress and disease into our lives. Electro Magnetic Pollution is an invisible danger that is going unnoticed by allopathic medicine and society in general and may be the cause of many drastic increases in illness such as Autism. Another varying EM influence to our homeostasis is Geomagnetic Waves. All forms of pollution, especially those that effect our bodies water, are real threats. Yet the strongest negative influence to our Chakras healthful resonance is our beliefs and perceptions which determine our mental and emotional patterning. 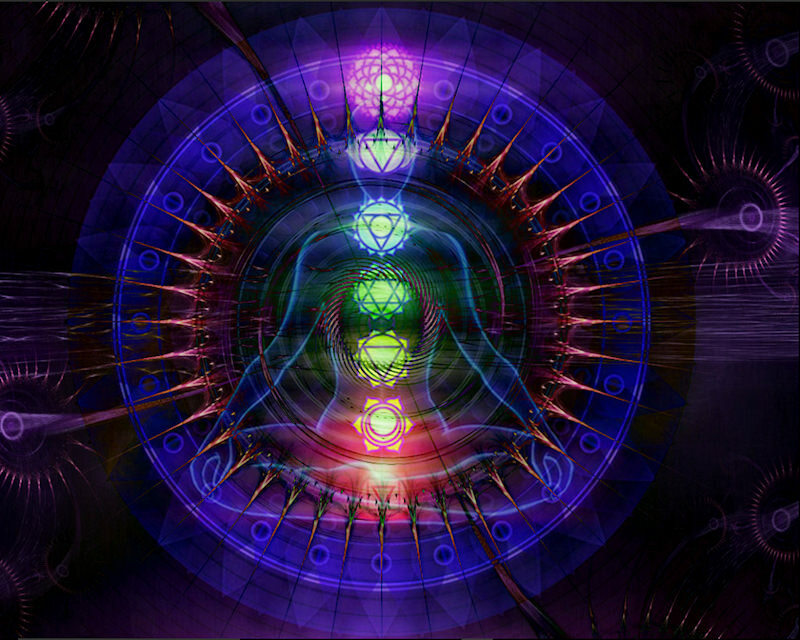 And again, having healthy Chakra Resonance will help stabalize and calm your moods and mind. Watch This Video – Dr. Wayne Dyer and Dr Bruce Lipton on beliefs and healing. Watch This Video – a rare interview with Dr Wayne Dyer about his Lukemia Healing. Watch This Video – about a miraculous recovery from end stage cancer and a NDE. Watch This Video – “Mirror Neurons” – Our Global Network of Neuro-Oneness. ALL our devices produce healthful EM frequencies that are direct octaves of or harmonics of the natural Schumann Pulse of the planet Earth. ALL of our devices ALSO produce a very special energy called the VIOLET RAY. The Violet Ray energy and information rides on or is superimposed upon the Schumann Pulse carrier waves. The Visible Light portion of this energy is Violet Light in a range from 715-800THz; around 752 trillion cycles per second. Physics calls it “terahertz radiation” or THz. It’s wavelength is in a range of 380 to 420 nanometers and is much less than then a special noted range – around 1.0 millimeter and less – that Astronomy calls the Submillimeter Band. Wavelengths less than 1.0 mm (higher frequencies) are very difficult to produce and detect but in the past several years, novel technologies are being born using this range of frequencies. As an example, it is predicted that using submillimeter waves, wireless data transmission may soon reach speeds of 100 Giga bytes per second. Our use of these high frequency energy and information patterns is of a very subtle nature that is fully bio-compatible. Navigate to the following links on our ‘history’ page and you will see that we’ve been using this range of frequencies and higher for years in the form of what we term the Violet Ray, Golden Ray, Elemental Ray, Cosmic Ray and the Double Foldback Violet Ray. 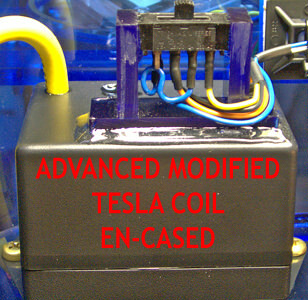 And our Advanced Modified Tesla Coil is at the heart of it all. Spiritually educated individuals may know that the VIOLET RAY or 7th RAY of the Seven Rays is the animating energy that brought humanity into being. St. Germain of the Ascended Masters is the lord or Cohan of the 7th Ray; also known as the VIOLET FLAME or VIOLET FIRE or VIOLET LASER LIGHT. It does this by using 2 precisely determined “Earth” Electromagnetic energy and frequency settings to perform an effective Chakra balancing & tuning. “Chakras” are regulating vortexial, electromagnetic centers of our bodies that are also ganglionic nodes that channel energy and information throughout the body. Tune and harmonize the chakras with electromagnetic resonance from the Crystal Wands and the harmonizing Chakras in turn will regulate your entire bodies health with their stable and strengthened Electromagnetic Shield. They bathe every cell in the most healthful and natural EM environment possible. 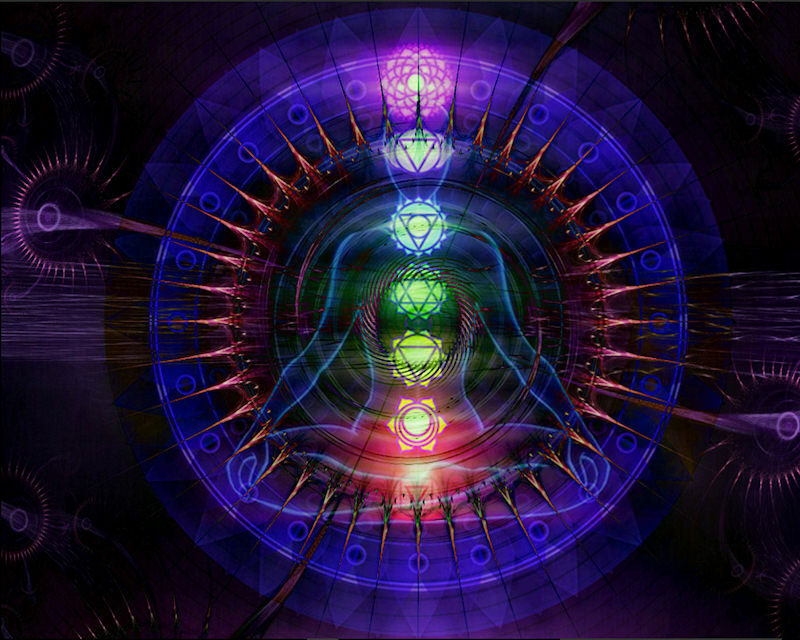 So the Electro Mangetic Fields of the Chakras support each cell to vibrate at its divine physical frequency. In this way, there is no need to treat each type of cell with a resonant “physical” vibration since the “EM” vibration supports each cell to access its own innate wisdom. Why treat a symptom when you can treat the cause? This same Electro Magnetic resonance shielding process also “Structures” your bodies water to increase its life force, coherence and ability to tranmit information throughout your body. Coherent “Structure” in Water Clusters is VERY healthful to our bodies. Scientific study on human biology in relation to structured water is still limited but here’s a link for a study on Structured Water Clusters In Plants (PDF) that will open your eyes. If nothing else, read the conclusions. 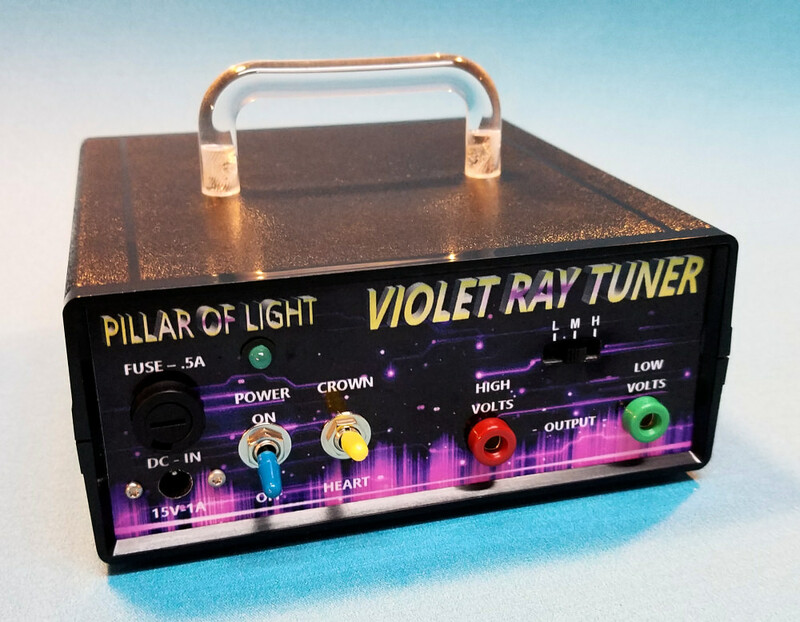 The Violet Ray Tuner uses a simplified version of the highly focused and full 16 frequency Chakra Balancing and Tuning procedure used with our top model, the Violet Ray Crystal Resonator. Our technology provides Energy Entrainment at its best. Another is by using the Violet Ray Energy of the Violet Ray Bulb (electromagnetic, light & subltle energy) that promotes a focus on the holistic well being of our physical, mental, emotional and spiritual vibrational nature. The Tuner also uses a simplified version of the full Posikiation Process used in the VRCR. Reduce stress on our biology by negating Electromagnetic Pollution in our living environments using a special Transmission Antenna. Yet another is by using the Tuner as a Radionics Machine that enhances meditation technique, builds inner peace, invocation prayer for your self, others or global issues. Its design was intuitively guided to be a blend of ancient Alchemical Wisdom and Modern Electronics, including an enhanced High Frequency Nikola Tesla Coil (Energetic Focusing Amplifier). This combination produces the Violet Ray frequencies capable of interacting in harmony with our physical and subtle bodies. 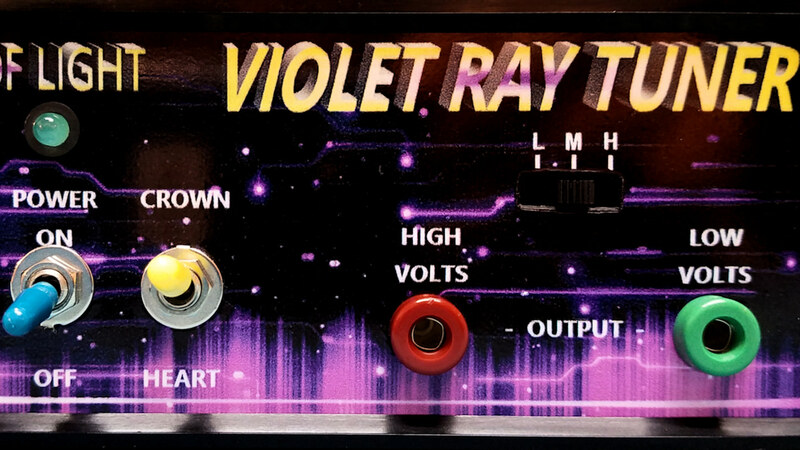 The Violet Ray Tuner attunes your physical body resonance to one of two selected frequencies. The Crown Chakra frequency of 16,035.84 Hz (Christ Consciousness) or the Heart Center frequency of 250.56 Cycles/second – which is the Core Tuning frequency. Tuning the Heart Chakra helps to pull the other Chakras into alignment as well. This is directly 5 octaves higher than the Schumann Resonance Frequency which is a base electro-magnetic resonant pulse of the Earth. Scientist measure this base pulse of the Earth to be 7.83 Hz & holding with minimal variations. Intuitively, Jack knows that the human Power Centers (Chakras) ideally vibrate at harmonic levels of that base frequency. The Heart Chakra frequency is also the musical note “B”; based on a slight corrective adjustment to concert pitch termed “cosmic pitch.” The Heart Charka Frequency is the “carrier wave” for the Violet Ray Frequency of 752 trillion cycles/second. That frequency is produced by the advanced Tesla Coil and manifests as Violet Light, electromagnetic & subtle energy in the Violet Ray Bulb. The energy that flows within all other output attachments, is electro-magnetic & Subtle Energy that rides the carrier wave. The carrier wave Charkra Frequiencies attune the body to receive the more subtle Violet Ray energy and information. It is the Violet Ray energy that helps alchemize consciousness from a physical focus to one of higher Self Awareness, Christ Consiousness and finally to Cosmic Consciousness. The High Voltage Output strength is now adjustable between, low, medium and high. This is to accommodate for variance in perceived output strength based on humidity levels. Generally speaking, the higher the humidity, the stronger the High Voltage Output signal will be. If for any reason, high humidity causes the instrument output voltage to be uncomfortable for you in anyway, simply switch the voltage to medium or low. However, we suggest always turning the Tuner off before changing Output Strength with this slide switch. All settings are bio compatible and safe to use. But as a reminder, we advise that any person with any type of electrical impulse pace maker or pregnant women should not use the Tuner directly on their bodies. 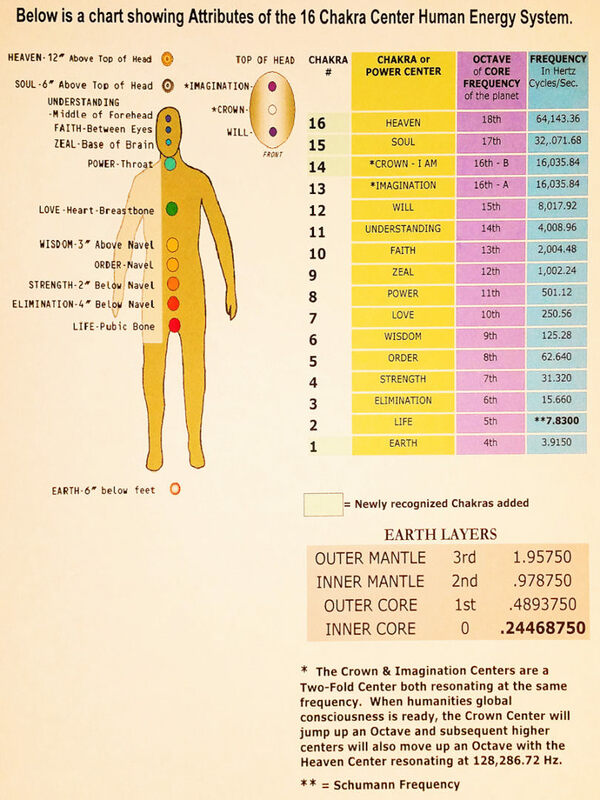 The Heart Chakra Carrier & Violet Ray frequencies attune the body to a natural earth frequency, thus making corrections to environmentally and internally produced disharmonies that cause disease. Using the Violet Ray Tuner in the “Power Wand” mode, you can perform a basic tuning of the power centers. In the “Violet Ray Bulb” mode, you can assist specific areas in need of relief and rejuvenation. Promotes wound recovery and increased circulation, reduces swelling, skin conditions, arthritis, stress, headaches, symptoms of disease & the disease itself. The bulb can also be held over the Carotid Artery promoting blood cleansing. If you want to feel the effects of the Bulb right away, hold it over your third eye center! We are constantly exposed to a myriad of potentially harmful energetic vibrations in our environment. AC power, radio, tv, microwave, cell phones, computers, etc. tend to pull us out of resonance with natural Earth frequencies. This “de-tunes” our Chakra Systems abilities to perform their roles as energy transformers and suppliers for our whole being. We also pull ourselves out of natural harmony by creating unsupportive physical, mental & emotional processes, patterns and actions. Our immediate environment can be shielded against further harmful polluting energies by using the Violet Ray Tuner with the optional “Pyramid Antenna” operating in Transmission Mode. With the optional “Food Plate Energizer”, you can apply the benefits of tuning & rebalancing to the sustenance you take into your body. City water supply systems can remove the life force from drinking water & thus will need to be restructured & re-energized. Much of the food we eat has had the life force processed or cooked away. Simply place your food or drink atop the charged plate for 30 seconds for it to be energized.